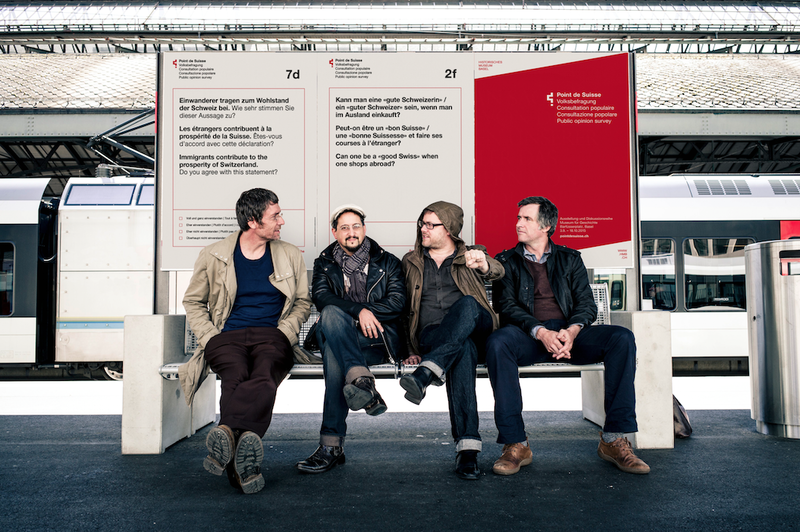 From October 25th onwards, a selection of questions from the survey printed on 350 posters will be displayed in the city of Basel, inviting creative interactions with passers-by, inciting people to take part in the online survey, and inviting them to visit the exhibition and the live talks. The poster’s design is deliberately inspired by the design of the Swiss ballot papers as well as the Swiss passport. Contrary to those, creative vandalism on the “Point de Suisse” posters is welcome. The questions will be published in German, French and English, so that everyone will be able to understand.